A legacy of service: Heinemann looks back on 37-year extension career. Lincoln, Neb. — Alice Henneman, a pioneer of food and nutrition education programming, is set to retire from Nebraska Extension on March 30. "I can't believe how fast the time has gone," Henneman said. "I've been honored to be in a role where I feel like every day I can do something to help people lead a better life by sharing science-based information." Henneman has been part of Nebraska Extension in Lancaster County since 1980. For 12 years, she administered the Expanded Food and Nutrition Education Program, which works with limited-resource individuals and youth, before becoming a full-time educator working with the general public in food, nutrition and food safety. Over the course of her 37-year Nebraska Extension career, Henneman has witnessed extension and outreach transform. "When extension was first established in 1914, its audience used to be primarily a rural population," she said. "Today, although fewer people live in rural areas, extension still plays an important role with that population, as well as those in urban or suburban areas." A changing audience and advances in technology have meant an expansion of the ways in which Henneman and her extension colleagues reach the public. "Our goal has always been to help people," Henneman said. "That goal hasn't changed, but what has changed are the delivery methods we use to spread the knowledge base in addition to traditional face-to-face meetings." Henneman is an industry leader in using new platforms to communicate with broader audiences. In 1996, she started one of the first email newsletters by an extension educator in the country, called Food Reflections. She also helped create, contribute to and recruit a team to build Nebraska Extension's food website in 2010, which is one of the university's top-visited sites. Site visitors will find a variety of resources from Henneman and other food team contributors. The website features information on food, fitness and recipes, educational resources, food safety and preservation, local foods and youth. Henneman said the most popular content relates to cooking basics, such as how to cut a recipe in half. In addition to newsletters and the web, Henneman has used blogs, videos, downloadable education materials and social media to share food-related information. She has amassed an impressive following of fans who regularly seek her guidance and helpful tips for eating healthier. Henneman is frequently recognized across the country by people who follow the work of the extension food team. "It's special to be a part of the team that is helping people in Nebraska and from all over," she said. "We've really made a name for ourselves in terms of being a go-to place for valid information." Henneman is a member of many professional organizations, including the Academy of Nutrition and Dietetics, Society for Nutrition Education and Behavior, and National Extension Association of Family and Consumer Sciences, from which she was named the outstanding extension educator of the year in the central region in 2017. 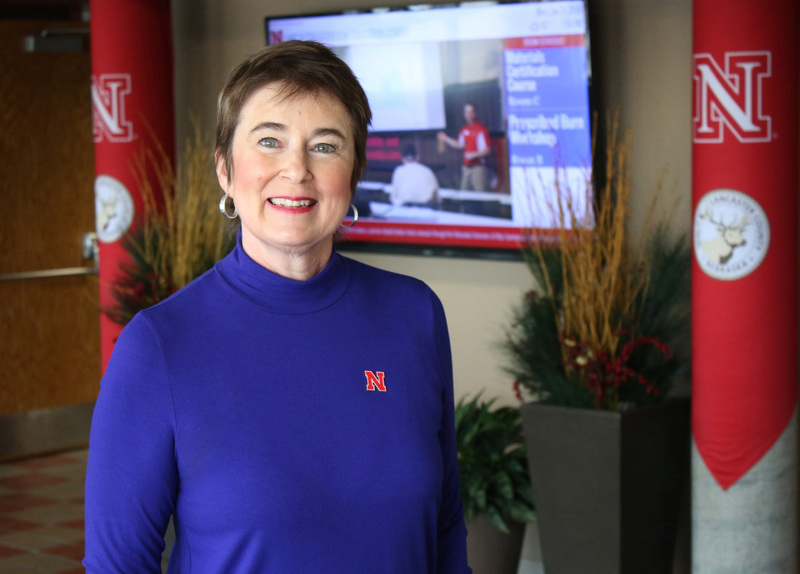 Henneman earned a bachelor's degree in family and consumer science education and a master's degree in nutrition from the University of Nebraska-Lincoln. A native of Hooper, she and her husband, David, reside in Lincoln. The public is invited to a retirement reception for Henneman from 3:30 to 5 p.m. March 16 at the Lancaster Extension Education Center, 444 Cherrycreek Road, Lincoln.